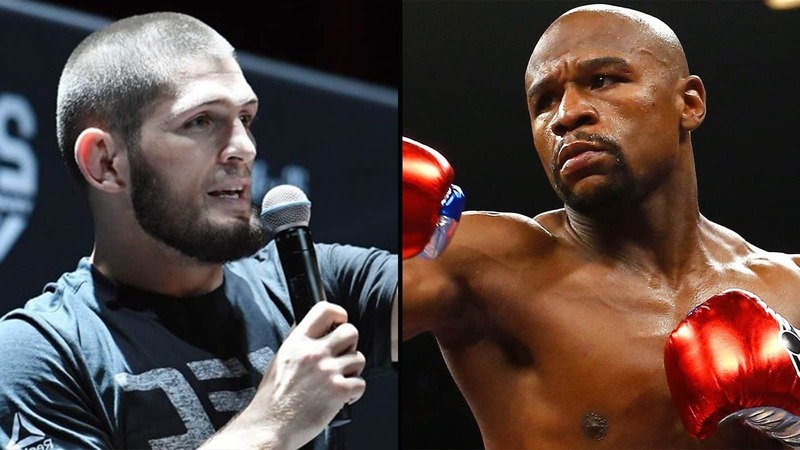 Khabib Nurmagomedov calls Floyd Mayweather with hopes of luring the American out of retirement to face him, it has been rumored that the former world champion has been thinking about returning to boxing and could a fight against the Russian UFC champion happen? Fresh on the back of defeating Conor McGregor at UFC 229 last weekend, with the Irishman tapping out in the fourth round via rear-naked choke. Khabib Nurmagomedov has issued a challenge to Floyd Mayweather to come out of retirement and face the Russian. The Eagle has insisted “in the jungle there is only one king”. Floyd Mayweather, 41 who boasts an impressive record of 50-0 last fought in August 16 when he fought Conor McGregor in a boxing match which ‘Money’ Mayweather won by TKO. Now the recent conqueror of McGregor has thrown down the gauntlet to Mayweather to fight Nurmagomedov who is now 27-0 in the UFC. Following the aftermath of Khabib and McGregor brawl, Nurmagomedov UFC career remains in the balance. He has recevied an offer from 50 Cent to join UFC’s rival Bellator, the Russian has also confirmed that he received an offer from the WWE but he remains keen to face Floyd Mayweather. Khabib was with Mayweather Promotions chief executive Leonard Ellerbe at a boxing event in Russia. “Let’s go, Floyd, we have to fight now,” said Nurmagomedov.